The SFUSD Arts Festival culminates in a day of literary events for junior authors and illustrators. 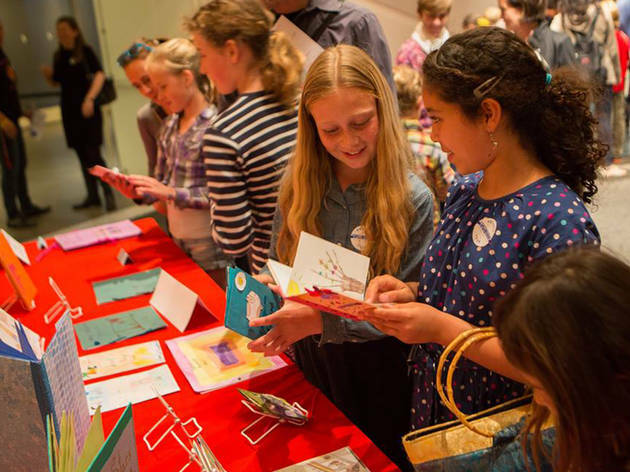 Bring the whole family to the Contemporary Jewish Museum to partake in a bevy of hands-on crafting, live readings and music from the Alphabet Rockers, and a chance to share a story or two with lovable pups from the SFSPCA. Keep the reading fun rolling with a fresh library card from the Green Bookmobile.